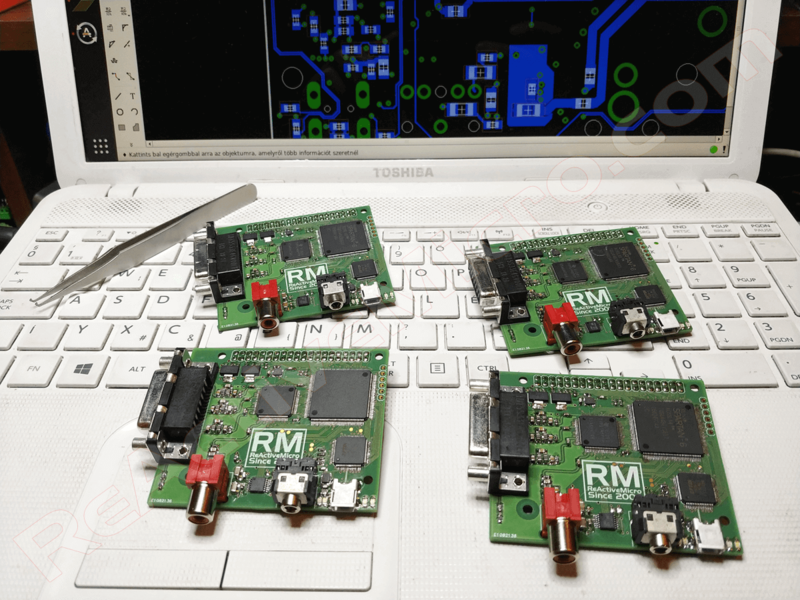 We’re glad to announce the next update for our Universal HDMI Adapter project. 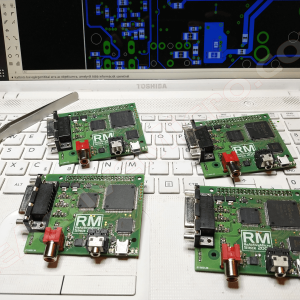 Since the last update on December 24, 2018 we have been testing the newest Proof of Concept (PoC) Universal HDMI Adapter PCB design. Lot’s of good things have happened along the way too. Several issues with communications were discovered and resolved. Audio was one major part of this PoC design, and we found a few issues along the way. However those too have been resolved. We have firm test results that the display latency is only a few lines within a single frame, and not several frames which was one of our biggest concerns about the project. Too much latency and games won’t play well. However this huge hurdle is no longer a worry. We have achieved everything we had hoped in this current design and more. The almost insurmountable mountain that is Apple II video has just gotten a whole lot smaller, and is not going to be an issue. If we were designing an Apple II only adapter the project would be ready for release. But we are looking to support a lot more. Now on to the rest of the retro community! Next is testing with digital video, VGA, and RF Modulated. Each hold their own unique issues and demand their own solutions. Our plan of moving the design to Alpha however may be delayed. We’re not sure the current layout will support all the video modes we want in as convenience of a package as we would like. The whole project needs to be simple and easy to use – not just convert video and audio to HDMI. The current adapter version may be good enough to send to developers however. The Apple II could be used as as starting point for the adapters UI and video options since they should be relevant on other platforms. And most of our contacts who have offered to help are from the Apple II Community. The current version would also be useful for researching how to perform in the field updates with the UI and how users could make custom features or even applications for the adapter and how they would be shared. There is still a lot of development work to be done, and we hope to start to work with programmers a lot more closely now. If interested in helping with the Linux/UI side of things, please contact Support. You will see from the picture there are now four Universal HDMI Adapters. Two will stay in the ReActiveMicro offices for testing and development. However one or two units will be sent to those who have offered to help with testing and building upon the programs on the ARM/Linux side of the project. We will also be performing another relayout of the PCB and moving to Alpha. The plan will be to apply any fixes or expansion needed, and start to move to a production level board rather than one with a lot of test points and extra parts on it. We will have roughly 20 units made and in to the hands of testers and software programmers. April or May should see some units in hands and some real world testing and feedback. We are really looking forward to what comes of this next step. And we’re starting to all get excited to see this project yet another step nearer to completion.